Hollywood actor Alec Baldwin was arrested and charged with assault after allegedly punching a 49-year-old man in the face during a New York parking dispute, police said. "Police got a call around 1:30 pm (1730 GMT) regarding an assault in progress. When we got there, we discovered that it looked like two individuals were fighting over a parking spot," a spokeswoman said. Rami Malek says he identified with immigrant side of Freddie Mercury while tackling the role of legendary Queen frontman. "I set out to be an actor some, Idk, over a decade-ago. I think something was possibly burning inside the both of us. We had aspirations to live our dream. And I'm getting a chance to do that right now in this very-moment," Malek said. 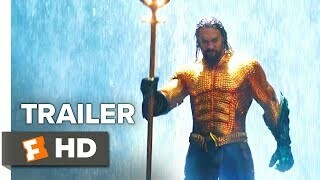 A new trailer of Jason Momoa starrer superhero film 'Aquaman' has been released. Jason first appeared as the superhero in the 2017 film 'Justice League', which is based on the DC Comics superhero team. Directed by James Wan, 'Aquaman' also stars Amber Heard, Willem Dafoe and Patrick Wilson. The film is scheduled to release on December 21.